Dreaming Tree Gatefold card and some news! I am very happy to announce that my Facebook group "Cricut Explore and More" and Dreaming Tree are teaming up! Each week we will have two $6.99 gift cards to give away. Right now our members can enter the draw by taking part in our Green challenge. That means make a project with a green theme. That could be using the colour green, or St Pats day, or frogs, crickets (or Cricuts as it's Cricut's 10 year anniversary) or nature.... whatever fits the green theme! This challenge closes on Tuesday so hurry and request to join so you can enter! Does this mean you can't share any other 3D projects in the group? Not at all! You are still welcome to share projects no matter where you purchase the files! But… if you haven't used Dreaming Tree's files... please give them a try. We know that you'll love them! They have awesome 3D projects and you’ll find an assembly video for each one! So now onto my project! Here are two versions of the Dreaming Tree Floral Gatefold Card. I love this card and I know I'll be making many more of them as it's so versatile! 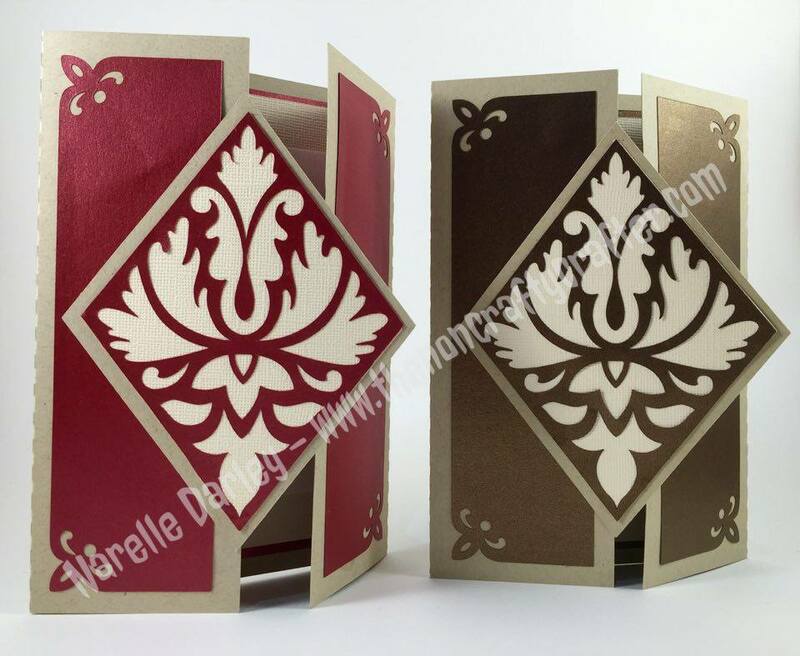 I again reached for the beautiful Cricut Pearl paper for this project. The colours were Cocoa and Scarlet. This post contains affiliate links. I will be compensated if you purchase after clicking on one of those links. 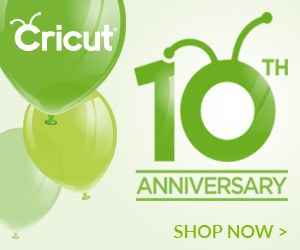 Cricut is turning TEN!!!! Yes, 10 years ago the very first Cricut - the Cricut Personal was released! And to celebrate they are having a super dooper sale that will run between 20th and 27th April. If you missed out on the Black Friday prices then don't miss this!! The following week there will be more sale prices although not as low as the previous week. Here's what you find on sale NOW! If you're a Cricut Access member you get an additional 10% off. And if you're a Cricut Circle member you'll get ANOTHER 10% off! AND... Don't forget to use the code CRICUTSPRING to get a further 10% off and free US shipping! April Mystery Box from Cricut! The April Premium Mystery Box is available at Cricut now! Here's a slide show that will show you what is included. The other day I told you about a great marketing Facebook group run by Joy Gjersvold. Today I want to share a post from her blog with you! If you're a seller.... this is a must read! Here's my first of the fabulous new cascade cards from Dreaming Tree. These are super easy to make and have a huge wow factor!! You can see this bundle at Dreaming Tree now. Don't forget you can get it free if you spend $9.98 or more on other products in store. Be sure to use the code FREEGIFT at checkout to get this bundle free! 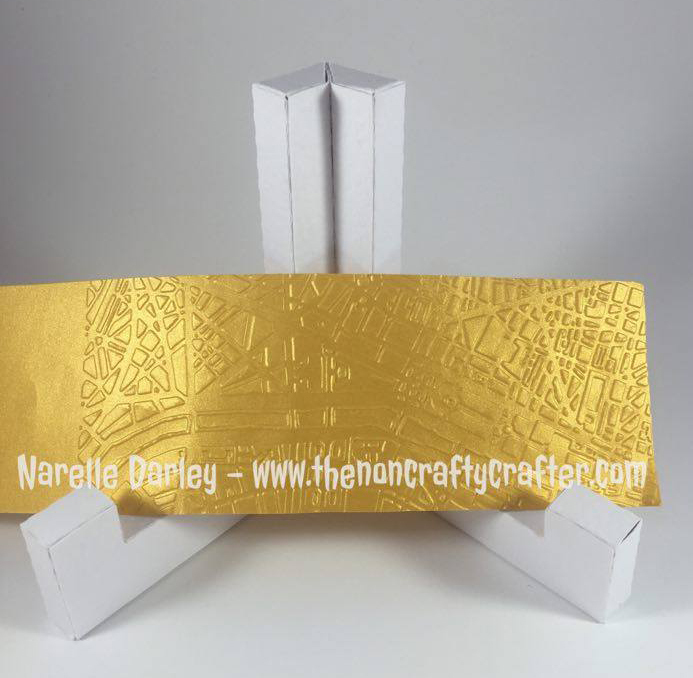 The yellow (sorry, the photo isn't true to colour) is Cricut Pearl paper that I embossed with my Cuttlebug. It has a lovely sheen and embosses really well! The colour I used is called Sunshine Pearl. 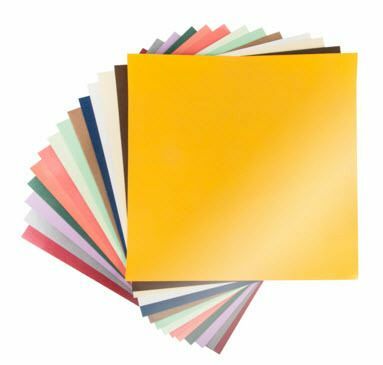 That's the top colour in the picture of the Pearl Paper Sampler. 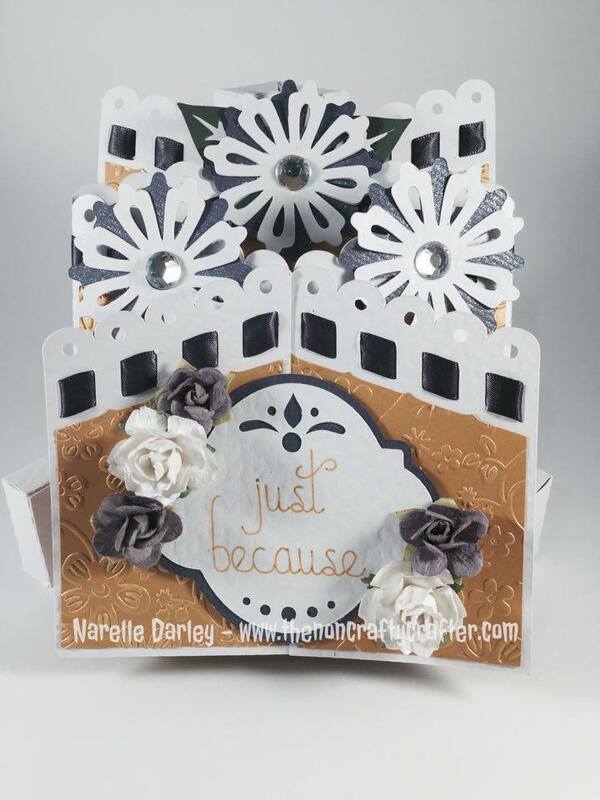 Here it is again, this time embossed with the Old Paris Cuttlebug embossing folder. Don't forget you can get 10% off at Cricut.com and free Fed-Ex home delivery with code CRICUTSPRING! And if you're a Cricut Access subscriber then you'll get an additional 10% off! Well, it's exciting for me anyway. And hopefully you too! Many of you use my list that has a small preview of each Cricut font. I started that list back in 2012 and there have been over 40,000 views so far! While that list is great I have always wanted something that would give a bigger preview of the font. But I didn't want people to have to print it out unless they really wanted to. Hopefully what I'm sharing with you today will fit that bill! The new list comes to you as a flip book. You can view it online and you also have the choice to download it as a PDF! This baby is over 200 pages long! 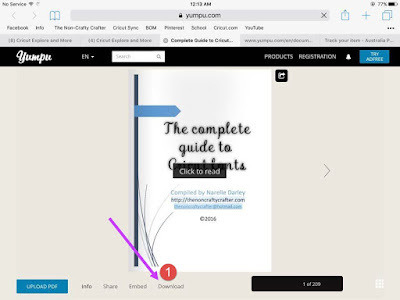 Once you download it you can choose which pages you want to print. Or print them all! And you can view it on your mobile device too! You'll find the link to the book at the bottom of this post. I had the members of Cricut Explore and More beta test it this week and so far there haven't been any issues. But please let me know if you have a problem using it or if you find any errors/omissions. 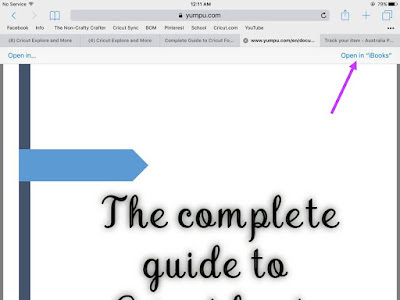 When you open the link the book will load. Some of the "writing style" fonts will look slightly pixelated. But if you click on that page, after a few seconds it will show the text clearly. And... you can search by cartridge name! 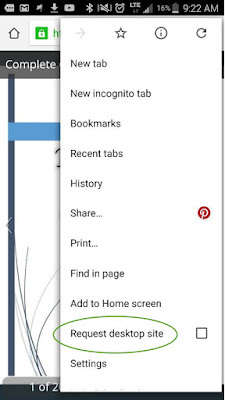 You'll find the search box in the bottom right corner if you're using a PC/Mac. If you're using an iOS or Android device please see the "Request Desktop Site" info below. You'll need to do that to see the search box. If you're using an iPad/iPhone and want to save the book to iBooks here's what you need to do. First open it by tapping on the link above. It will open in the Yumpu site and you'll see a Download option at the bottom. (1) Tap that. Then wait (and possibly wait and wait if you have slow internet like me!) while it downloads. When it has finished downloading it will open to this screen. 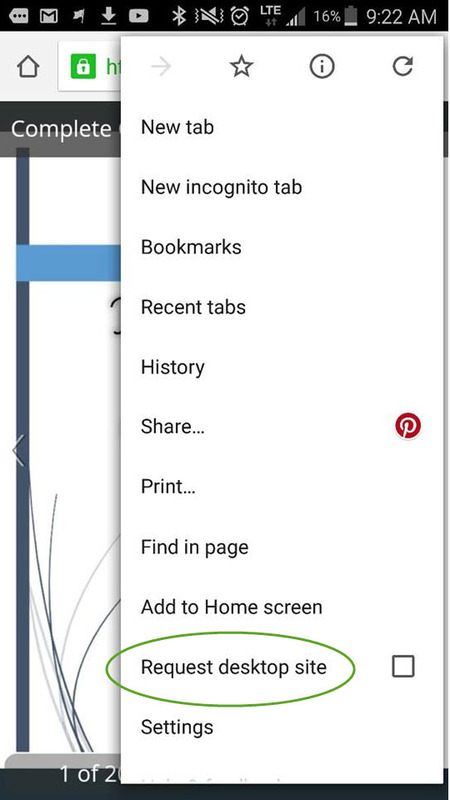 Tap the screen and click Open in "iBooks"
For the Android users out there you will use a similar method. 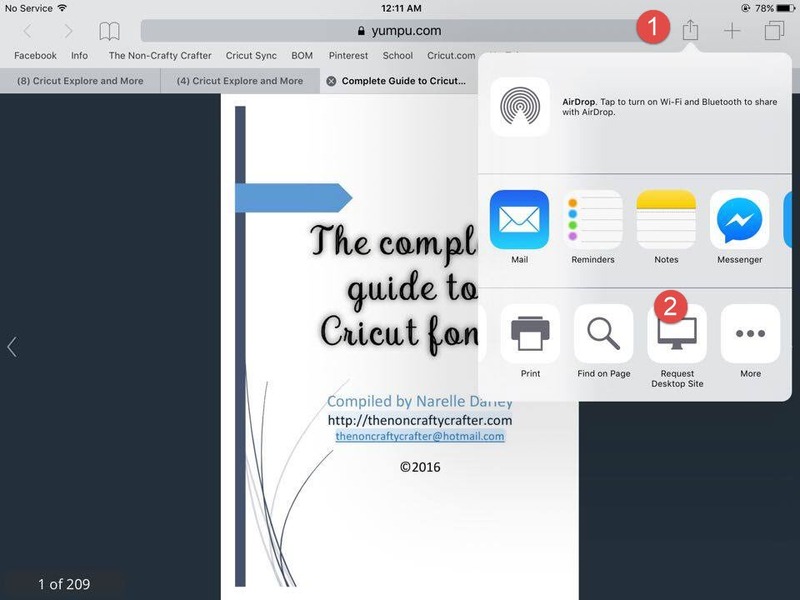 Here's a screen shot from Nicolle from Cricut Explore and More. Thanks Nicolle! So... here's the book! Enjoy!! Two new Facebook groups for you to check out! 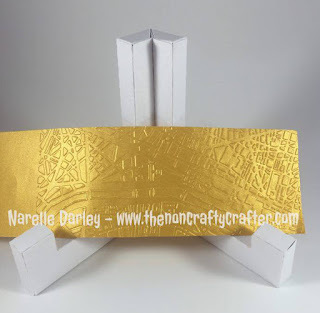 I know that there are a lot of crafters out there who like to sell their projects. But starting and running a craft business can be tricky! So let me introduce you to a great friend Joy Gjersvold who together with Barbara Kollmer Guy runs an awesome marketing group called "The Joy of Marketing your Crafts." If you're looking for tips on how to best market your products, who to organise your displays and how best practices for running your business then you'll love this group! Please check it out if you're a seller or thinking about it! I promise you you'll learn a lot! I have started my own group called Cricut Explore and More. Along with some of my favorite Cricuteers - Janis Bertram DeGouff, Jooniper Parker, and Jess Slater I'm heading up what we hope to be an amazing Cricut community! 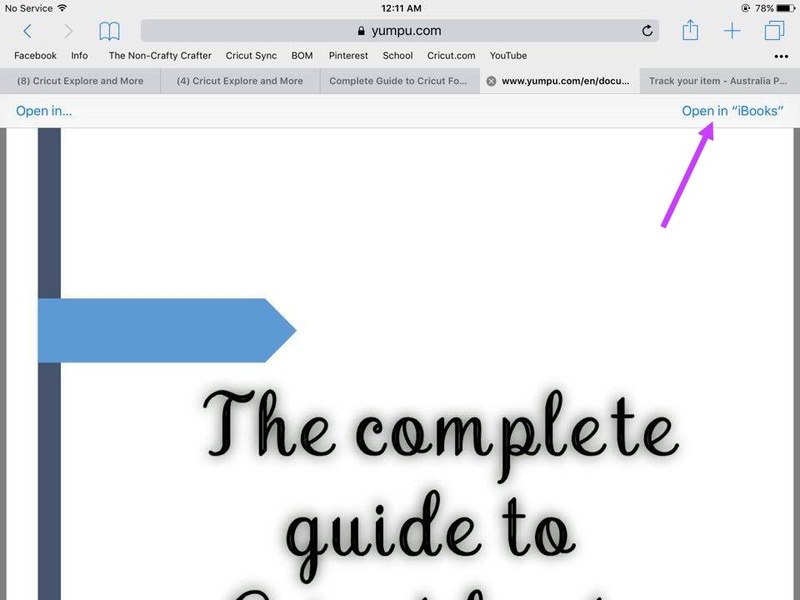 If you're looking for a positive, uplifting, and super helpful group when it comes to all things Cricut I hope you'll take a moment to head on over and check us out! Here's the link to join. Hope to see you there!